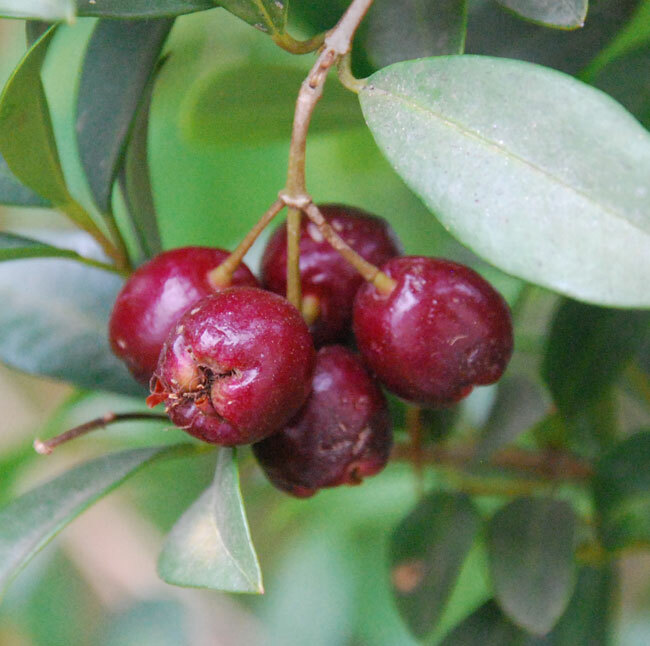 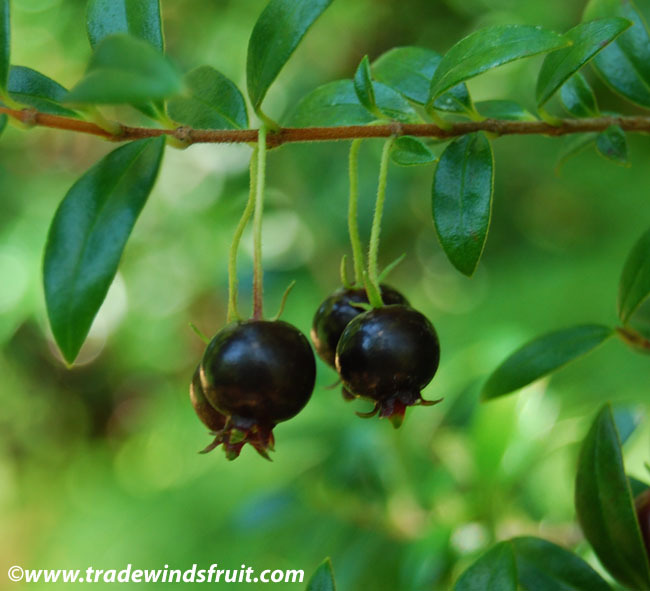 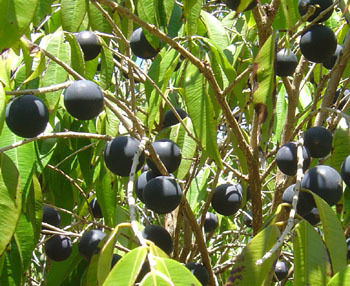 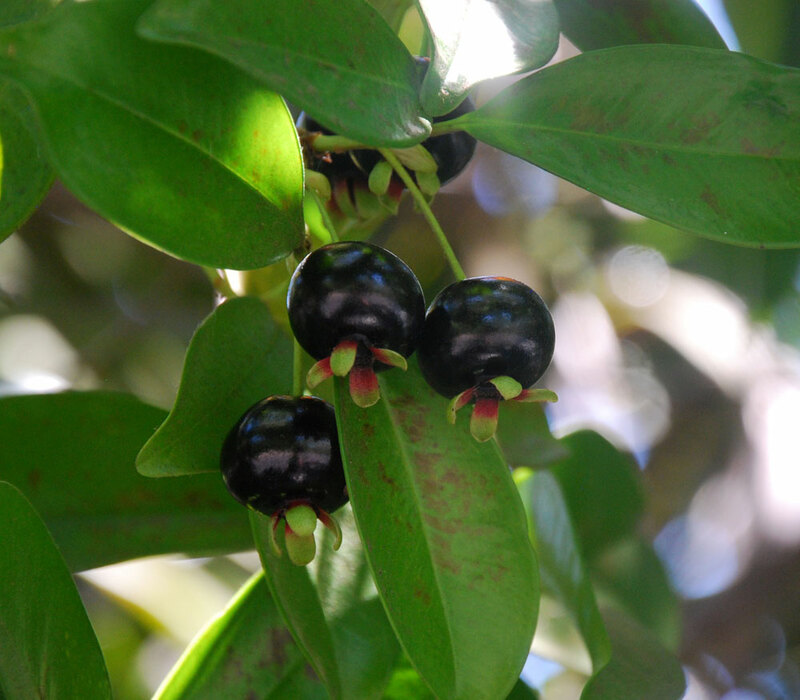 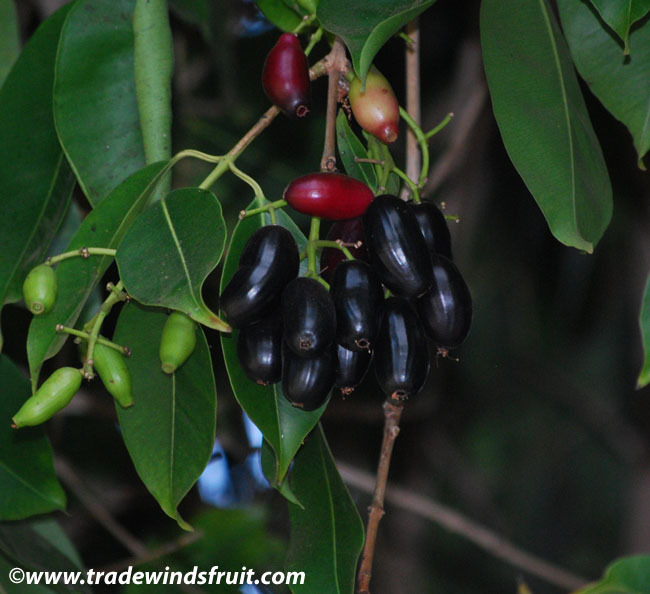 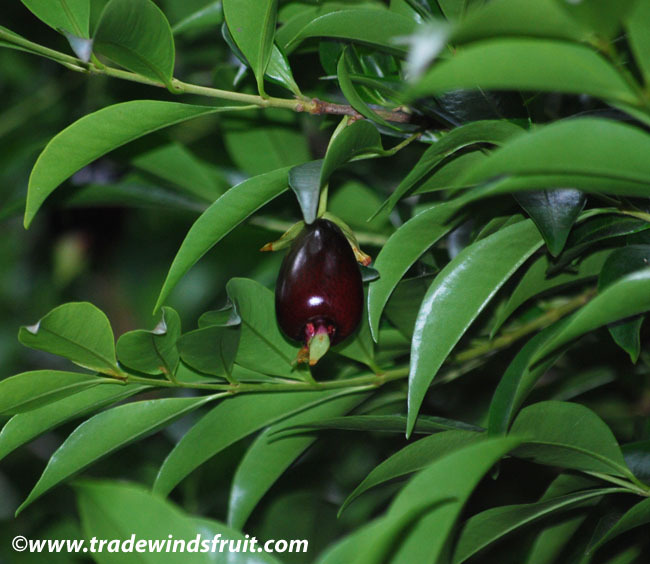 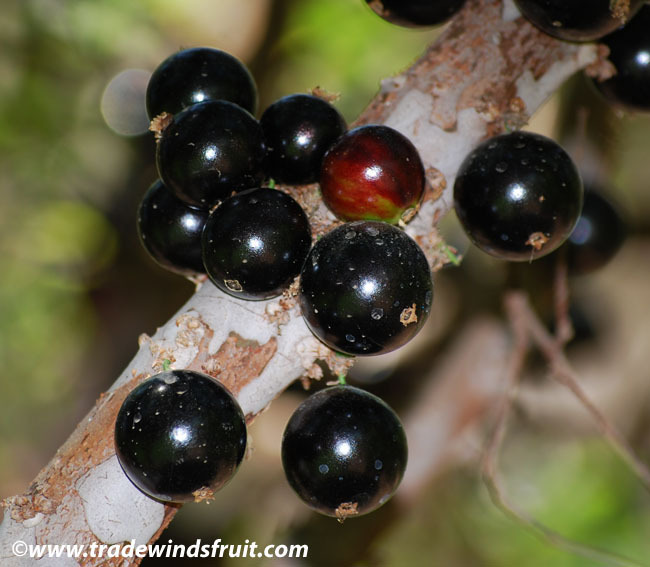 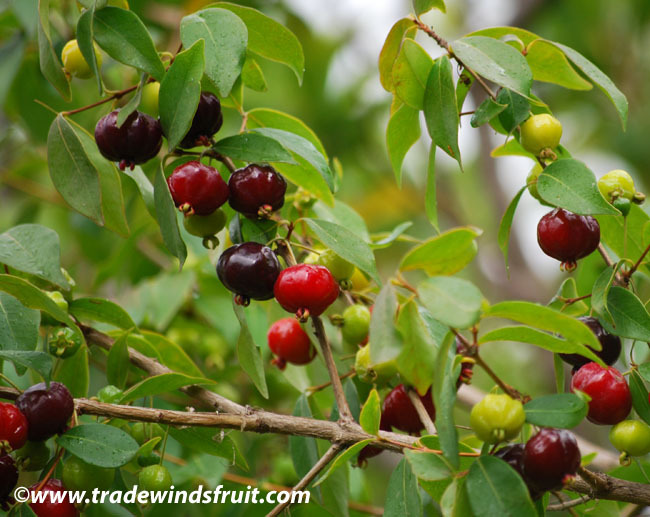 Highly fragrant fruit usually with green or yellow skin, about the size of a baseball, with pink or white flesh. 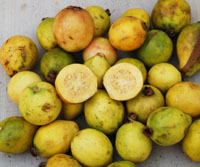 The guava is one of the most common fruits in the world and its sweet pulp is used in a wide assortment of drinks, desserts, and other food products. 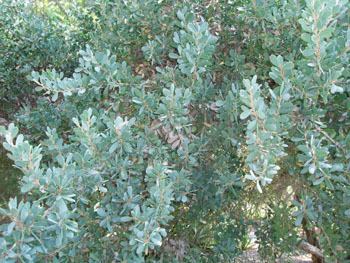 A shrub or small tree, sometimes growing as high as 30ft, but usually no more than 10-15ft. 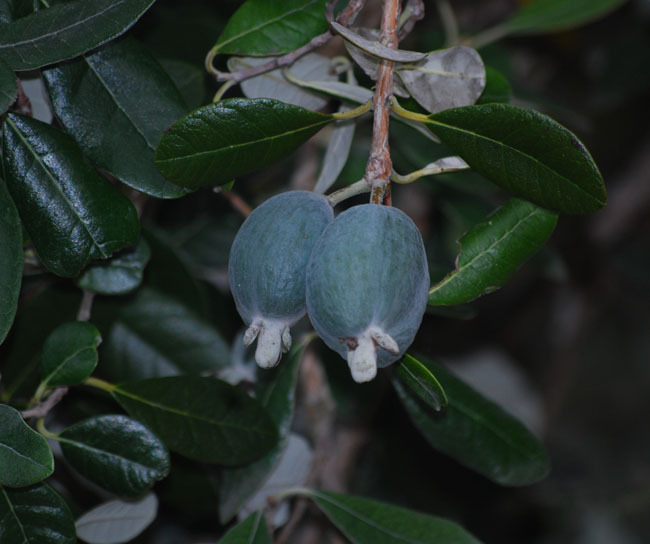 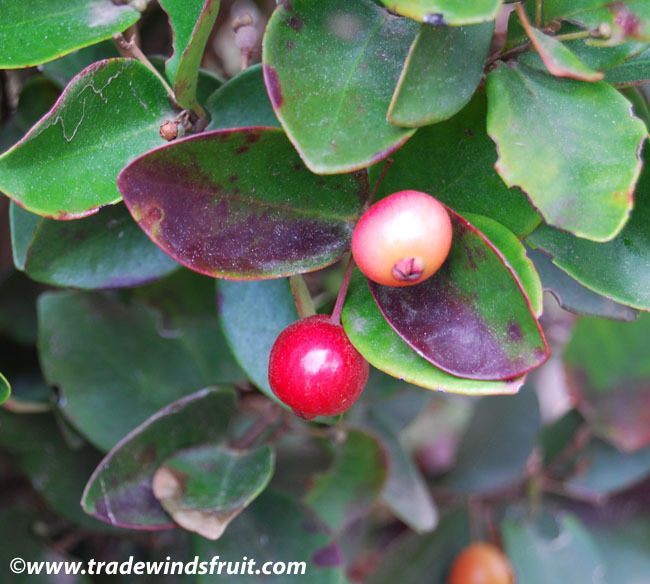 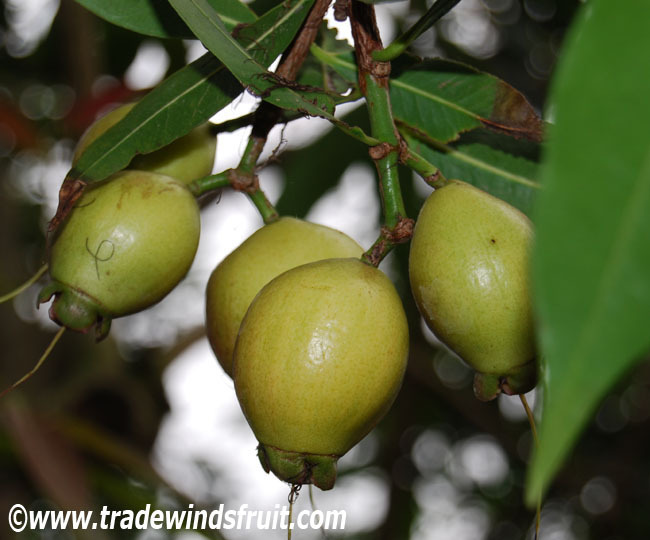 The guava is highly adaptable to tropical and subtropical environments and can be grown outdoors as far North as the San Francisco Bay Area in California, as well as most areas of Florida and gulf coast states. 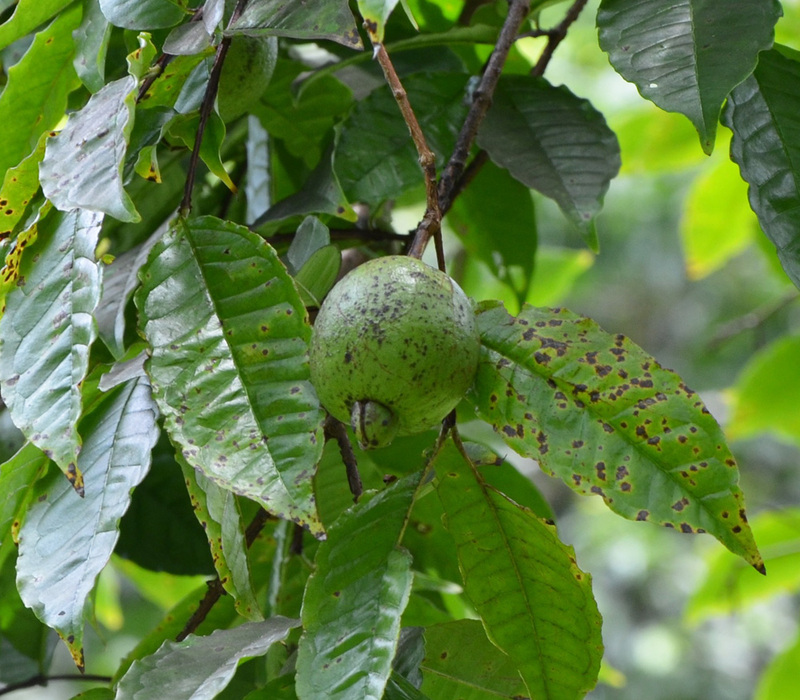 Protect from temperatures below 30F, which can cause defoliation. 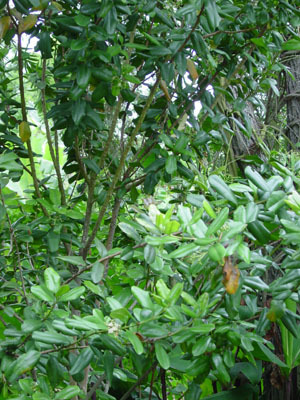 Harder freezes will kill the plant. 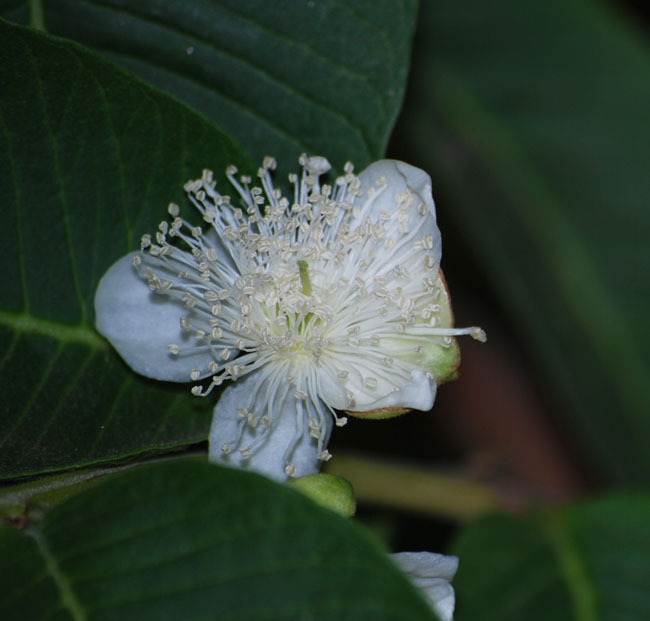 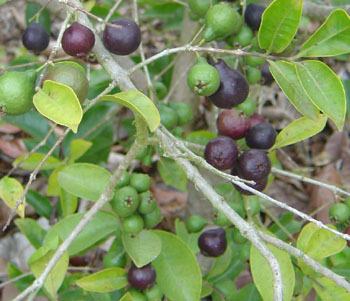 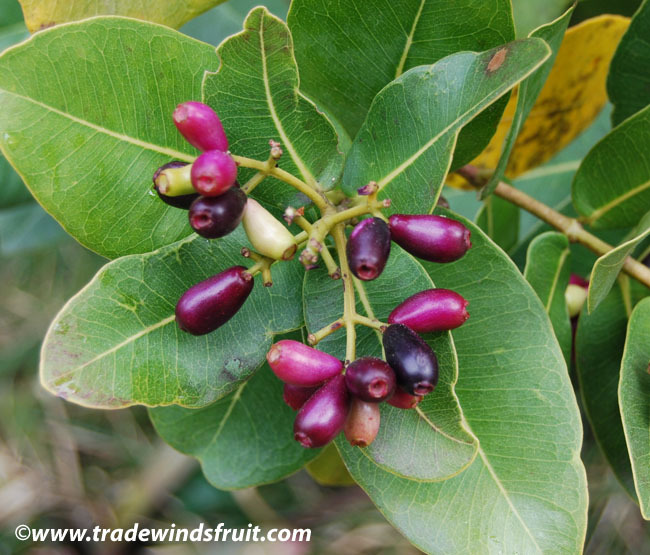 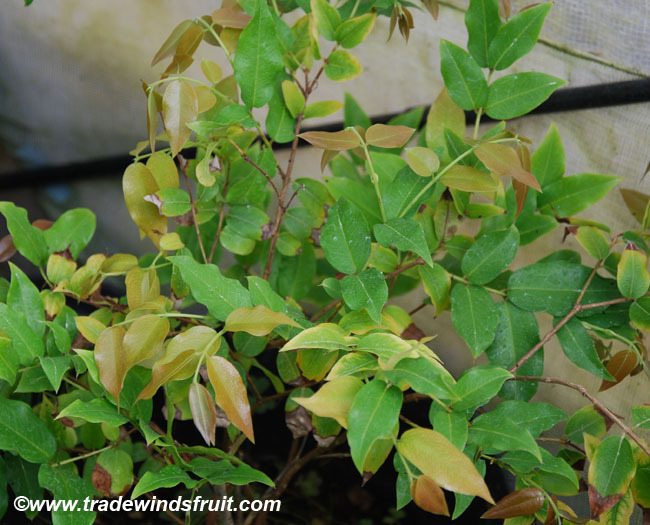 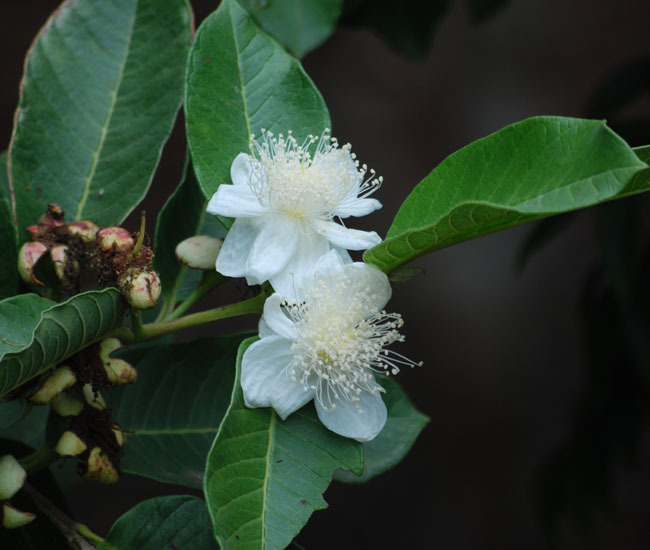 In cool winter areas, guava's may partially defoliate, but should begin new growth flushes in spring and summer. 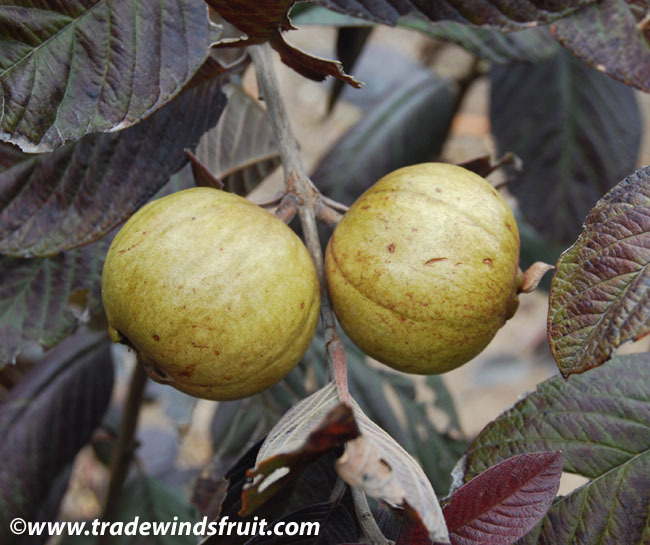 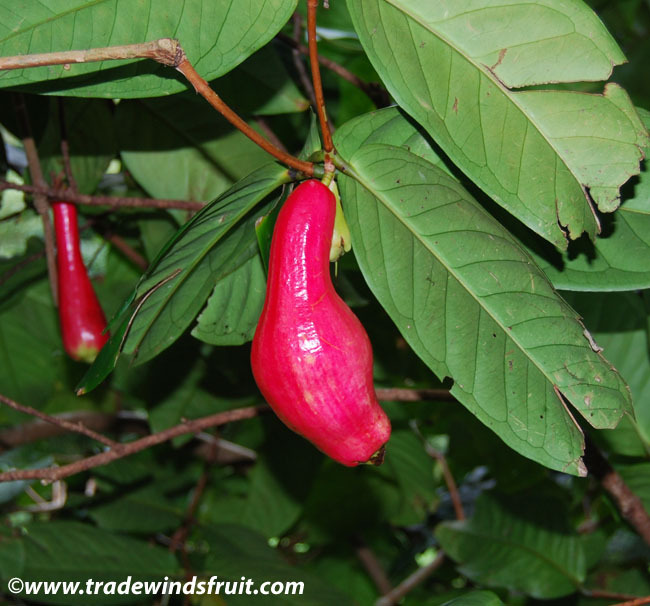 Guava's grow well in full sun, except in hot regions, where partial shade is beneficial. 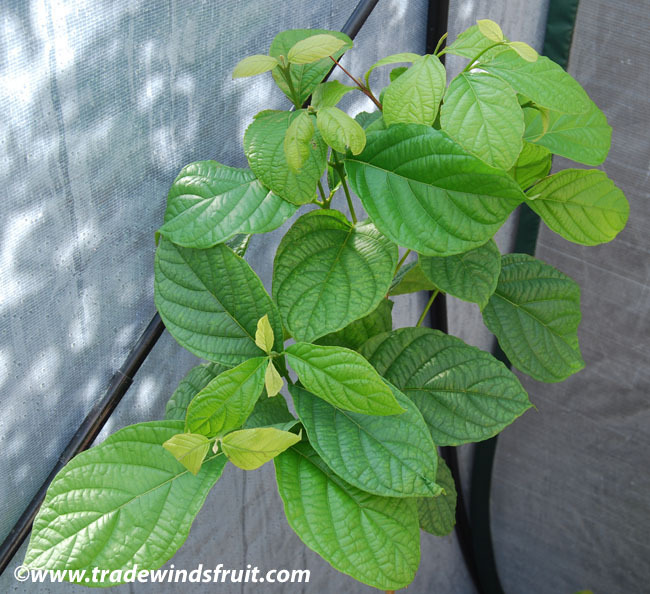 If trying to grow in a marginal climate, plant near a building or provide some sort of protection from damaging cold winds and rain. 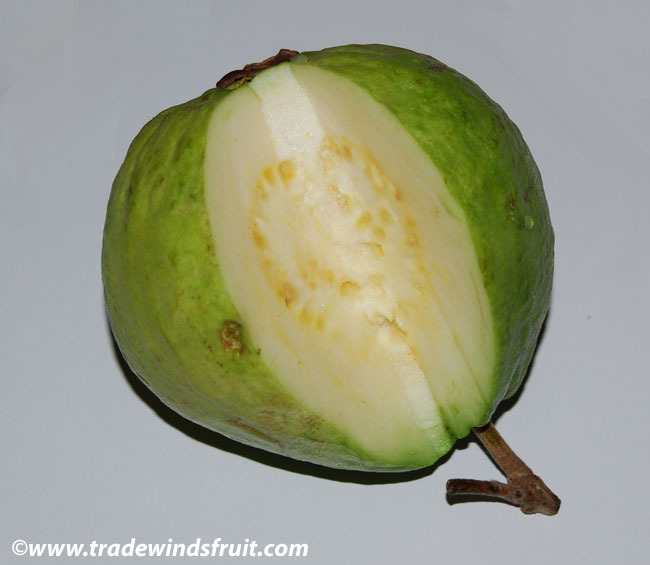 Generally, guava's are fairly adaptable and will flourish with little care. 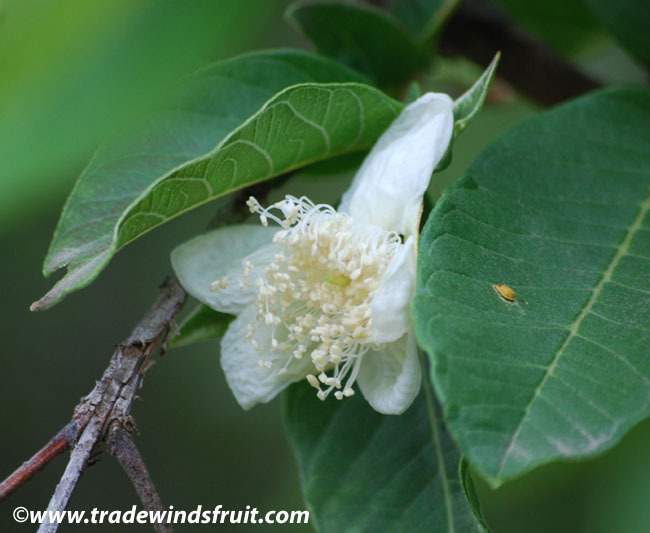 Flowers will self-pollinate and fruit develops in a few months. 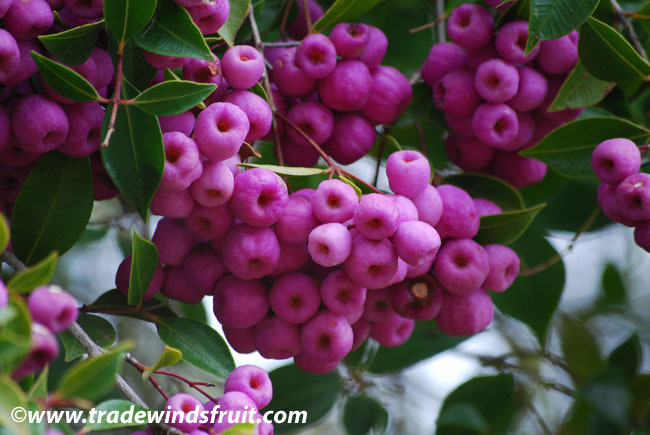 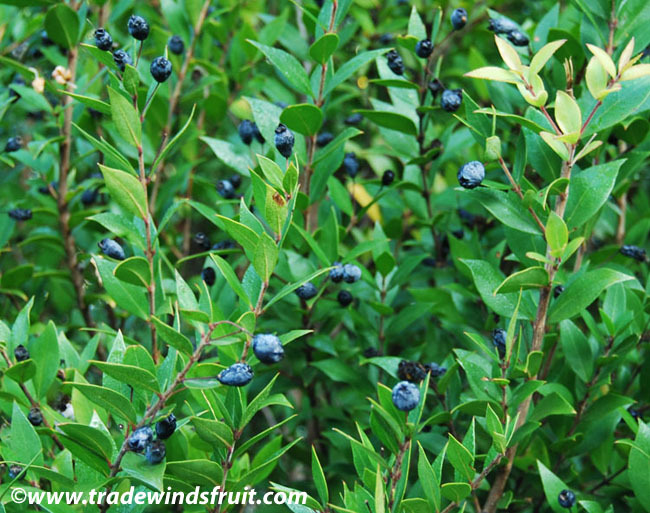 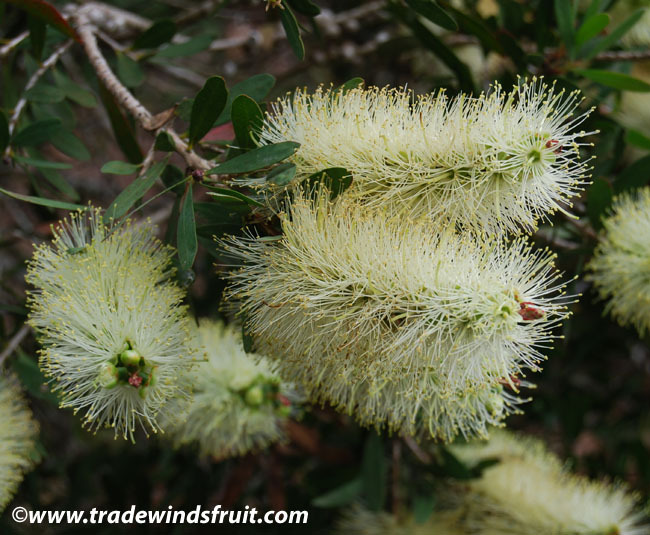 There may be multiple fruiting and flowering seasons throughout the year, depending on local climate conditions. 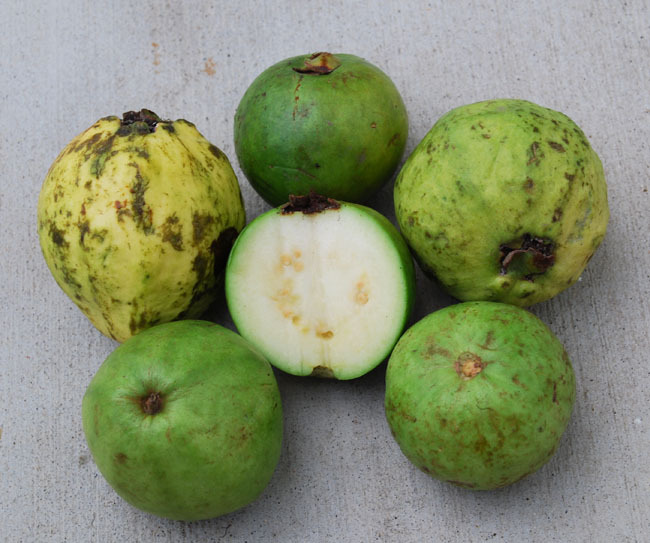 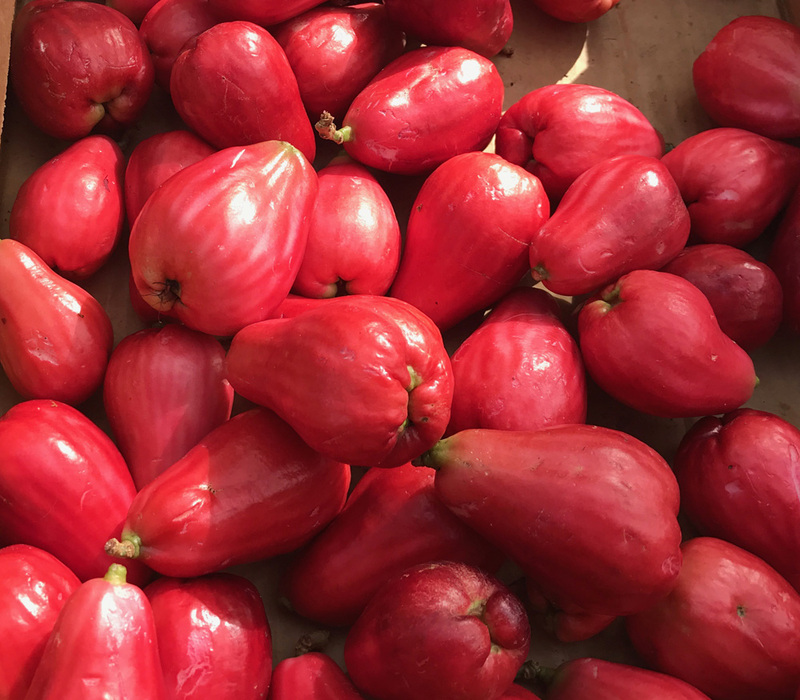 Guava's are shallow rooted and prefer lots of moisture throughout the year (except if cold), although they will withstand periods of drought, as well as dry seasonal changes. 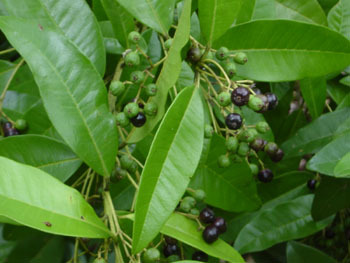 Keep the soil especially moist during flower and fruit set. 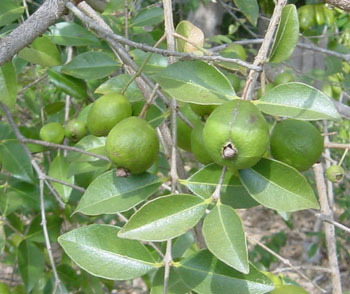 The guava will tolerate poor soils, but grows much better when fertilized monthly, or when grown in soil that is high in organic material. 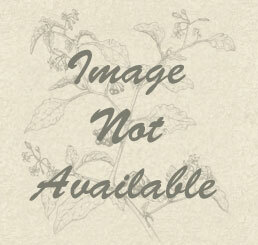 They are not tolerant of salty soils. 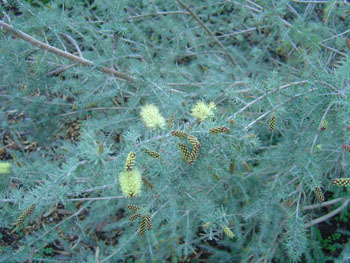 Often by seeds, which remain viable for up to a year. 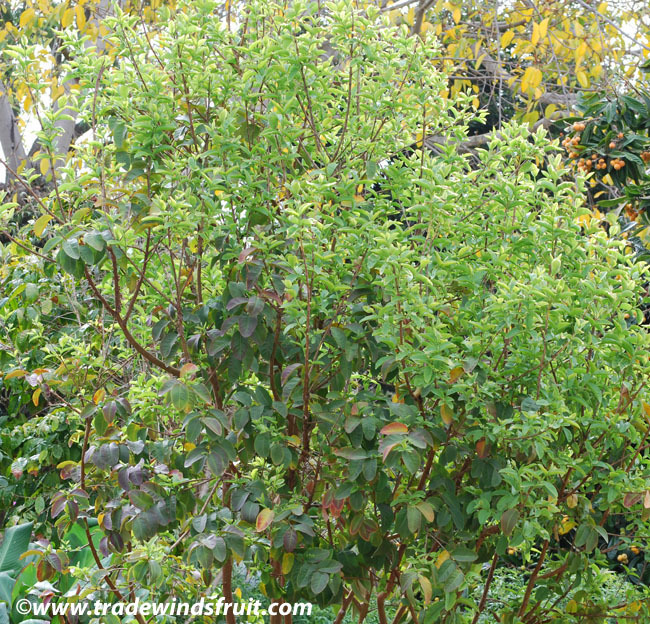 Sprouting can take 3-8 weeks. 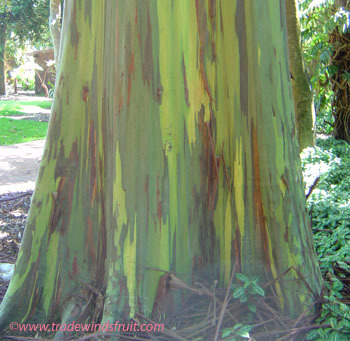 Better varieties are propagated by grafting, air-layering and root cuttings. 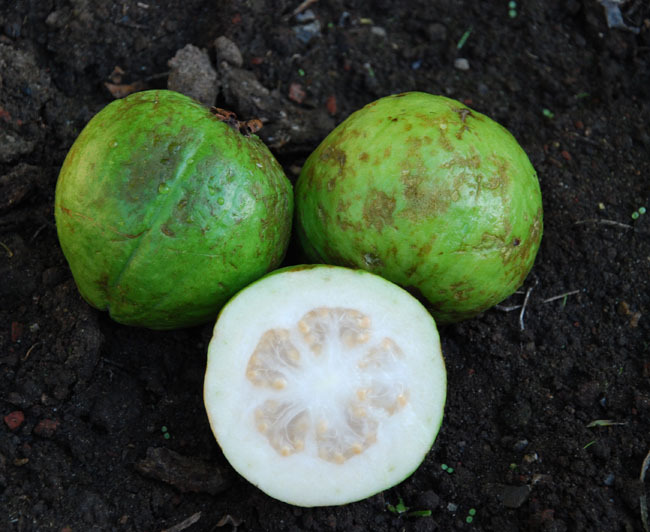 Warm soil temperature (70-85F) is important in germination. 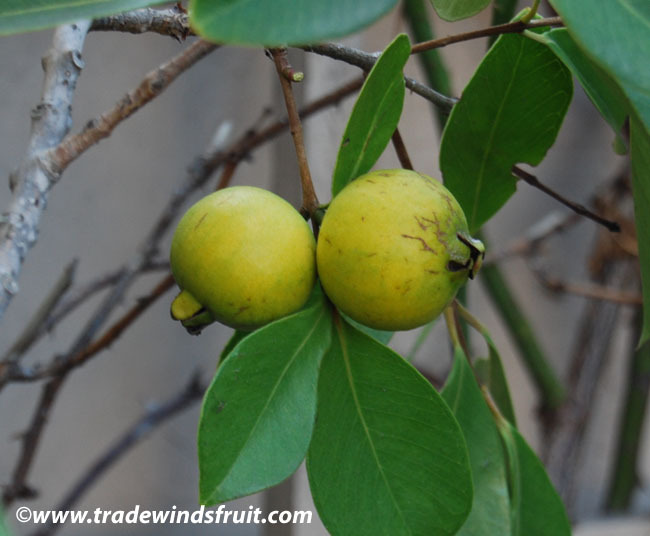 Guava's can be eaten fresh but are often used to flavor drinks, desserts, sauces, preserves, and many other food products. 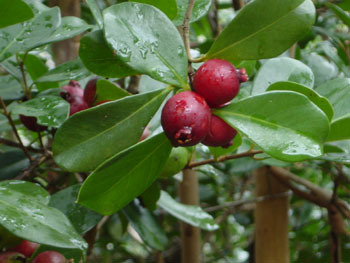 Native to southern Mexico and Central America. 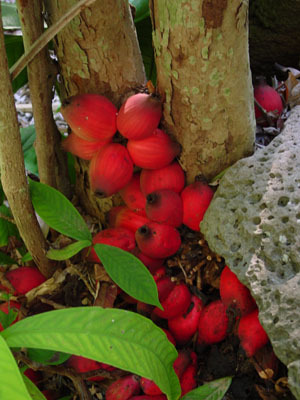 Was long ago spread throughout the American tropics, Asia, Africa and Pacific Islands. 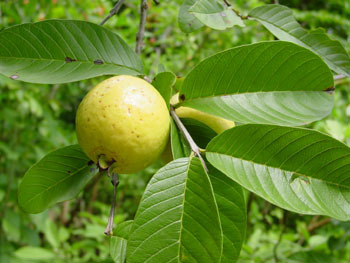 The guava is an invasive pest species in some parts of the world, particularly on Pacific Islands.